Pernicious anemia is a condition in which a person lacks Vitamin B12. This disorder is known in three names: Macroytic achylic anemia, Addison’s anemia, and Biermer’s anemia. 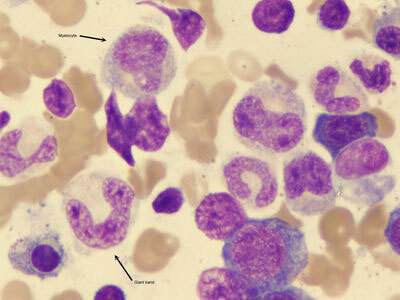 This sickness is a kind of megaloblastic anemia, a condition in which the red blood cell count becomes abnormally high. This is because of the absorption failure of vitamin B12 which is needed for the formation of red blood cells and the normal functioning of the nervous system. Let’s trace the cause of Vitamin B12 deficiency to prevent acquiring Pernicious anemia. The body is unable to produce Vitamin B12 by itself. It is only derived from foods, especially dairy products, meat, sea foods, and poultry products. The body will lack Vitamin B12 if there is deficiency in intrinsic factor, one of the proteins present in the body, and is made by parietal cells in the lining of the stomach. It is the atrophic gastritis which could be responsible for the malabsorption of Vitamin B12 in the gastrointestinal tract. This causes parietal cells to run out, thus making it impossible for the stomach lining to produce adequate intrinsic factor for the body’s usage. Lack of Vitamin B12 could also be a result of poorly balanced vegetarian diet, alcoholism, aging and intestinal disorders or infections. Adults over 60 are susceptible to Pernicious anemia, and also to people in places with temperate climate. It is rare for infants to have this disease, unless they are born having problems in the production of the protein intrinsic factor. Those having a family history of this disease have greater risk of developing the disease. Those from Northern European or Scandinavian descent also have higher risk. Also, those who have autoimmune endocrine disorders such as Addison’s disease, hypoparathyroidism, testicular dysfunction, type 1 diabetes, and chronic thyroid gland inflammation. Weakness and fatigue are among the few signs that could readily be seen in someone who has Pernicious Anemia. This is because of the lack of oxygen in the body. This lack of oxygen will then cause the heart to pump faster than its usual pace to provide oxygen to the tissues and organs in the body. Excessive pumping of the heart will then cause stress, which in turn will become arrhythmia or heart murmurs, congestive heart failure or heart enlargement. Patients of pernicious anemia could feel a numb or tingling sensation in the hands and feet, as well as difficulty in balancing and normal walking. Since pernicious anemia is also because of lack of Vitamin B12, some of the other signs include alteration in the sense of smell, sense of taste and even sense of sight to the patient. If this Vitamin B12 deficiency remains untreated, it will also affect the patient’s mental health such as loss of memory and confusion. Pernicious anemic patients may have red, sore and shrinking tongue. Their stomach lining will also become thin over time. Thus, they will also be at risk for stomach cancer, gastric carcinoid tumors, and gastric polyps. Other signs that could be seen in a Pernicious anemic patients are: diarrhea, constipation, anemia, fever, gum bleeding, muscle spasms, loss of weight and of appetite, jaundice or the yellowing of skin, and chest pains. The patient may also develop Babinski’s reflex, a condition in which the big toes bend toward the foot’s upper part and the toes spread out. If left untreated, Pernicious Anemia will lead to other complications such as neurological problems, “megaloblastic madness” or a change in the personality, and deep tendon reflexes. The doctor examines the suspected patient by checking his blood count. Vitamin B12 levels present in the blood will be examined, and will be checked for any signs of a possible megaloblastic anemia. This diagnostic test is the Schillings test. In this procedure, the patient will be subject to radio-labeled Vitamin B12 intake, and will be given an unlabeled Vitamin B12 via injection afterwards. The patient’s urine will then be tested. If 5% of the radiolabeled B12 becomes visible in the urine, the patient has Pernicious anemia. Doctors could also examine suspected patients through gastroscopy, a process in which the stomach, duodenum and the esophagus undergo biopsy. Those with ernicious anemia will have pariental cell bodies that reaches 90% or more. Bone marrow examination could also be conducted, as well as reticulocyte count to check the production of red blood cells occurring within the bone marrow, hematocrit, serum LDH, and hemoglobin count. Since Pernicious anemia could be traced from lack of Vitamin B12, supplements with Vitamin B12 could be administered to the patients. Those who have problems with Vitamin B12 absorption, doses will be doubled or even tripled, and is given orally or intravenously. If preferred, Vitamin B12 could also be given through the nose. Giving Vitamin B12 supplements will treat anemia, and various complications in the neurons. This would be a very effective way of treating the disorder, if detected in its early stage. Patients with gastric atrophy could also be administered supplements orally or intravenously. Patients could also infuse Vitamin B12 rich foods and drinks in their diet. This could be acquired from eating poultry products, meat, milk or other dairy products, rice, cereals, nuts, green and leafy vegetables, lentils, peas, beans and etc. Taking multivitamin or B-complex vitamin supplements would also help. As of this time, there is yet no method that will normalize the production of intrinsic factor protein. However, other complications could be managed if this is diagnosed at an early stage. Pernicious anemia could be treated, and patients will most likely recover to their healthiest state if given proper treatment. Otherwise, just like in rare cases, it will cause permanent nerve damage and would required prolonged therapy. And since this disease would also heighten the risk of patients to have stomach cancer, they should be examined from time to time. People, regardless of age and current condition, should never fail to take supplements that have high Vitamin B12 and folate content. This will lower the risk of acquiring anemia and will also improve mental function particularly to people ages 60 and above.